Recently I created a custom made blue and white satin catsuit for Nicole. 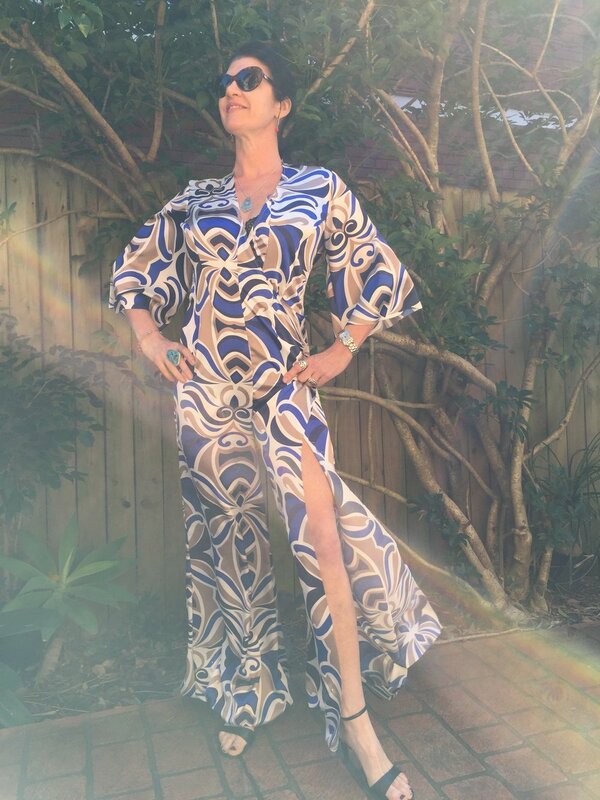 I have known Nicole for a while, and I know that she likes designs with a 70's influence, so once I found this gorgeous print I knew it would look fantastic as a catsuit on her! 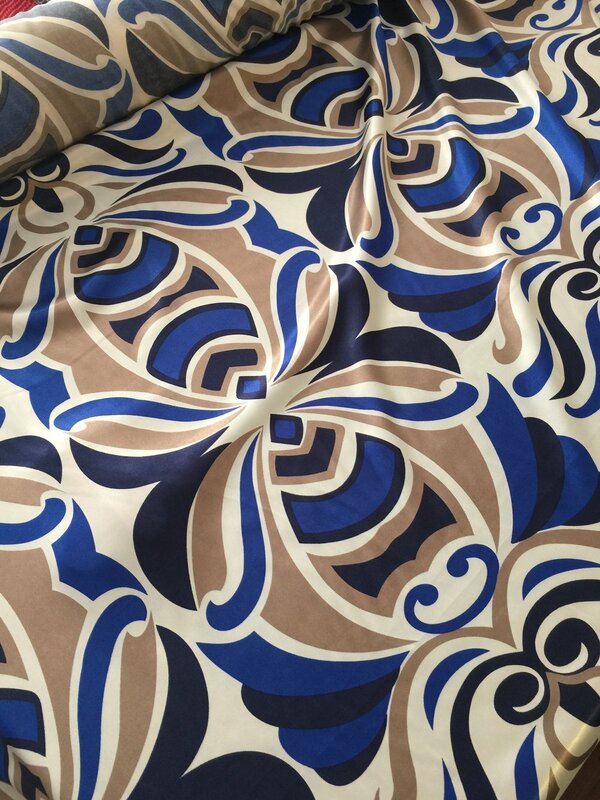 The blue and white satin fabric has a very retro inspired print. With catsuits I find the fitting to be a bit tricky. Everyone's bodies, i.e. torso area, are completely different in length, and since a catsuit is an all-in-one style you must get the length perfect! This particular catsuit style is quite unique, since it is a wrap around style, with a low v neck, a tie around the waist, and a thigh high split! Long kimono style sleeves balance out the design nicely. I dreamed up this design when I was dancing away in a club in Sydney! And ever since, every time I wear my version of this design it makes me feel like dancing! The catsuit done to a stage after the first fitting. All the seams are unfinished at this stage. And here is Nicole all dressed up for her friends wedding! Nicole wearing her custom made Penelope Red catsuit! Nicole wearing the catsuit, and her friends, the Grooms. All I can say is, "Wow!!!" I think she looks absolutely amazing in the design, and I am sure she made a few heads turn... Which is totally what this catsuit is made for!! !